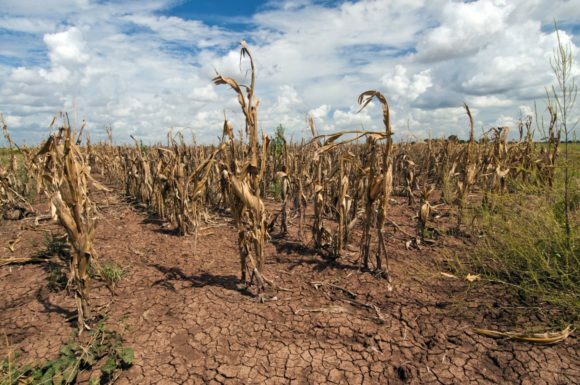 Share the post "Rutgers EOAS Projects Wet and Dry Weather Extremes with Global Warming"
Drought-stricken corn in Texas in December 2016. Photo: Bob Nichols/USDA. Global warming is projected to spawn more extreme wet and dry weather around the world, according to a Rutgers-led study. Those extremes include more frequent dry spells in the northwestern, central and southern United States and in Mexico, and more frequent heavy rainfall events in south Asia, the Indochinese Peninsula and southern China. One reason – subtropical stationary waves in northern summers, according to the study in the Journal of Climate. These planet-spanning waves are composed of persistent high-pressure systems over the North Pacific and North Atlantic and persistent low-pressure systems over Eurasia and North America, the study says. The high-pressure systems provide persistent conditions for dry weather, while the low-pressure systems fuel wet weather. The intensity of subtropical stationary waves during northern summers increased from 1979 to 2013, and projections suggest the increase will accelerate as climate warms, the study says. “Increasingly strong subtropical stationary waves play an important role in explaining the increase in extremely dry weather in North America and extremely wet weather in south and southeast Asia,” said study lead author Jiacan Yuan, a post-doctoral associate in the Department of Earth and Planetary Sciences at Rutgers University–New Brunswick and the Rutgers Institute of Earth, Ocean, and Atmospheric Sciences. Subtropical stationary waves may serve as an important link connecting regional droughts and extreme rainfall events with global warming, the study says. Such extremes, which have increased significantly in recent decades because of a warming climate, can cause enormous economic losses and threaten lives. Examples of extreme events include catastrophic floods in South Asia during the 2017 monsoon season, when about 1,300 people died and more than 45 million people were affected, according to a United Nations Children’s Fund report. A severe drought afflicted Texas in 2011, with direct agricultural losses estimated at $5.2 billion by the Texas AgriLife Extension Service. 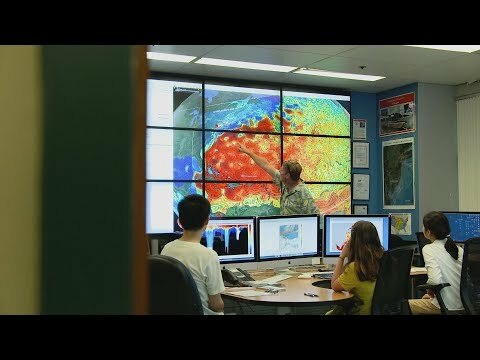 The study’s coauthors include Robert Kopp, director of the Rutgers Institute of Earth, Ocean, and Atmospheric Sciences, as well as scientists at Duke University and Georgia Institute of Technology. Editor’s Note: this article originally appeared in Rutgers Today.